Overall, it allows truckers to install it outside of the cabin because of its water proof casing. In addition, this wireless sensor eliminates blind spots for truck drivers. Designed for large trucks and haulers, wireless and commercial-grade RVS-114 makes roads safer for commercial and passenger vehicles. Mounted to rear of vehicle, 4 sensors monitor events occurring at rear of vehicle. Sensors connect to control box, connected from outside/inside via wireless technology, to display placed on front of vehicle. In addition, visual and audible warnings alert drivers of hazards behind their vehicle, eliminating blind spots. Overall, the product, developed by Rear View Safety, serves as one of the industry’s leading consumer safety organizations. You use the FIT in your truck cab to easily exercise over the road. The 2 most frequent injuries in the trucking Industry include the rotator cuff and lower back. Bob Perry of Rolling Strong and Damler Trucks of North America introduces the FIT System (Freightliner In-Cab Training System). This exercise and flexibility system allows truck drivers to get FIT in your truck cab. Overall, the driver performs an upper body, lower body, and cardiovascular workout in the comfort and safety of the cab. In addition, this system installs easily, used in the truck or brought in to your home or hotel. You see the product demonstrated by representatives from Freightliner Trucks and Rolling Strong. The system sells for $69.99. In addition, truckers purchase it here: http://shop.rollingstrong.com/index.php. Overall, view the video below for a great demonstration of the product and more information. Overall, the program consists of 5 exercises, performed literally anywhere. In addition, the entire program only takes around 11 minutes to complete. The Canadians developed the routine for pilots stationed in remote areas without access to training facilities. These highlight the top fitness trends for 2015, according to the American College of Sports Medicine. They united in a scientific seven-minute workout popularized by The New York Times in 2013. Overall, the combination offers an ultra-efficient, convenient, low-tech way to stay in shape. Also, it’s pretty much exactly what kept Uncle John remarkably trim for nearly 50 years now. The idea that short spurts of strenuous exercise could be just as effective as longer bouts of moderate exercise. In addition, no equipment or facilities needed! Cummins’ new approach is showing off their new “holistic” approach toward truck engine operation. They are even going to tour the U.S. and Canada with a fleet of Cummins ISX15-powered heavy-duty trucks from June through October of 2015. It stands for Advanced Diesel Electric Powertrain Technology. SmartCoast: This disengages a truck’s engine automatically from the driveline when going downhill. Therefore, it returns it to idle to reduce drag, conserve vehicle momentum and, ultimately, improve fuel economy. This clean diesel technology leads to near zero emissions. In addition, the setup was influenced by the make, model, and optional equipment. Another key piece of the 2017 model ISX15 engine is the development of the new EcoFit single module aftertreatment system from the company’s Cummins Emission Solutions division. Fier said the “single-piece” design reduces the device’s size by 60% and weight by 40% compared to the prior version. Overall, Cummins deployment of Connected Diagnostics™ gives drivers feedback within seconds of a fault occurrence. Therefore, this helps avoid unnecessary expenses and reduces the the chances of engine failure. “By using telematics, we can transmit data instantly to Cummins dealers and distributors to help reduce the repair cycle and reduce downtime,” she said – pointing out that Cummins remains “agnostic” in terms of the telematics provider a fleet may choose to use. Do You Cook In Your Truck? The Cooking in the Truck Summit will be a great place to get some ideas for truckers who cook in your truck. This event takes place right after MATS. 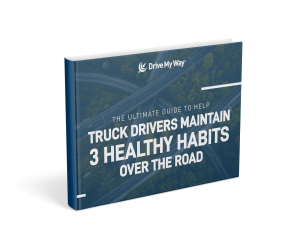 Many resources in recent years have became available to help drivers cook in their trucks. Tom Kyrk, founder and chief blogger for “Road Tested Living,” is co-hosting the summit. Encourage and promote cooking in the truck. Share ideas for cooking and food storage. Discuss ideas to help industry related companies meet the needs of the cooking trucker. Where: Freightliner hospitality trailer in the Papa John’s parking lot at Cardinal Stadium in Louisville, Ken. The Renewable Fuel Standard Elimination Act amends the Clean Air Act and repeals the Environmental Protection Agency’s (EPA) renewable fuel program. This action will actually increase new highway bill funding. 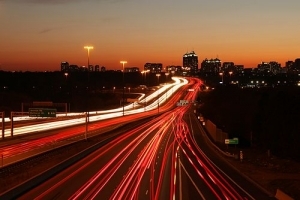 Overall, it’s about time as everyone knows Americas’ infrastructure steadily crumbles. “Currently, gas tax revenue diverts from the federal Highway Trust Fund. This affects bike paths, sidewalks, mass transit and other local projects,” said the Representative in a press release. Overall, the highway fund is pegged to run dry by May. The new bill provides funding for only 6 years. Therefore, it’s not perfect, but the need is desperate. The U.S. oil output rising and refineries running at higher capacities. Therefore, crude oil falls, meaning the price of gasoline sinks even lower. U.S. retail gasoline prices in the Lundberg Survey dropped as crude oil fell to the lowest level in six years. Gasoline fell as oil, which makes up a majority of the fuels cost, dropped last week to the lowest level since 2009. Lower crude prices in combination with strong gasoline output from U.S. refineries contributed to the decline, according to Trilby Lundberg, the president of Lundberg Survey. No Need To Worry About The Speed Limit? This smart technology from Ford will help the driver who break the speed limit without realizing it. Remind you of someone you know? “Drivers are not always conscious of speeding and sometimes only becoming aware they were going too fast when they receive a fine in the mail or are pulled over by law enforcement,” said Stefan Kappes. She serves as the active safety supervisor, Ford of Europe. Overall, watch the video below to get an idea where this technology (geared towards driverless cars) heads. Due to the urgent need for truck drivers, many fleets are now equipping their trucks with satellite TV, which is a great new benefit for some lucky truckers. The goal is to improve the quality of life for the driver. God knows they need it. Some drivers have gone to great lengths to install satellite antennas and receivers that they use at home on their trucks. Home equipment is not able to withstand the rigors of the road, however. Until recently, satellite TV was out of reach for the industry at large. The new system currently being installed are rugged and can withstand the extreme conditions they will go through on a run. Its also a lot more convenient to watch on a nice screen as opposed to a smartphone. Controversial New Regulation a Possibility? The Drug Free Commercial Truck Driver Act of 2015 (S.806 and H.R. 1467) being proposed serves as a controversial new regulation in the Senate. Overall, it allows fleet owners to use hair testing as an option for drug and alcohol use. Hair testing analyzes a hair sample for parent drugs and their metabolites. Then, the hair specimen ships to the laboratory, screened for illicit substances. Overall, a 5-panel hair test detects cocaine, marijuana, opiates, amphetamines, and phencyclidine. Overall, a hair test can find five times as many users compared to laboratory based urine testing programs. However, let’s see how this turns out. Many companies believe hair testing offers a better picture of an employee’s history of drug use.